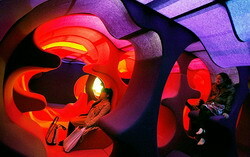 Making a tour in Japan, you have the opportunity to learn the culture of the country through its museums. 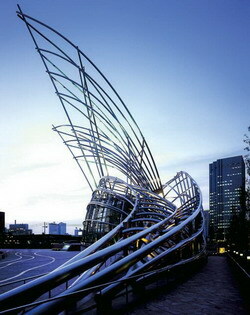 Japan Museums contain detailed information about the long history of the country, provided the best art exhibits. Indeed, archaeological finds, works of art and crafts, located in museums illustrate in detail a microcosm of Japan, giving an idea of the nation as a whole. 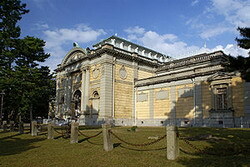 Perhaps at the top of the hierarchy of Japanese museums are national museums, from which you can select the Tokyo National Museum , located in Ueno Park , as the first museum, founded in 1871. 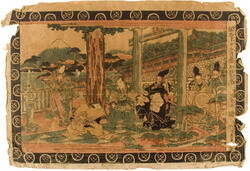 His extensive collection is a complete overview of the history of traditional Japanese art, and contains numerous exhibits on the history, science and natural history. 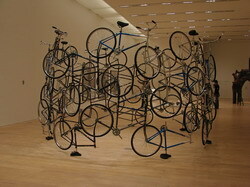 The National Museum of Modern Art in Tokyo in chronological order are masterpieces of modern Japanese art. Kyoto National Museum was originally arisen on the basis of paintings, sculptures and other masterpieces of art produced from the nearby temples, and now contains a collection of works of art of all periods of Japanese history. The National Museum, Nara is especially notable for its collection of Buddhist sculptures. 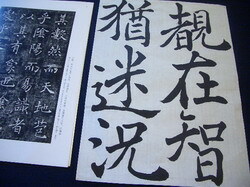 In Tokyo, many art museums, both public and private, in which priceless works of Japanese art. The Memorial Museum of Fine Art Hatakeyama contains highly items for the tea ceremony. 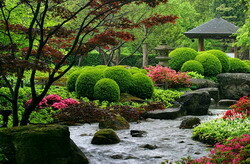 These three museums are broken the traditional Japanese gardens , allowing visitors to appreciate the works of art in a pleasant and tranquil. Ota Memorial Museum of Art , specialized in genre painting ukiyo. Edo-Tokyo Museum presents the history and lifestyles of Tokyo through large-scale layouts. Tokyo Teyen municipal museum , built in 1933, offers visitors to get acquainted with authentic decorative compositions, as well as temporary exhibitions of various kinds. In the field of contemporary fine art, Japan has recently positioned itself as a distributor of non-traditional forms of creativity. For example, a museum of contemporary art in Japan, will be of interest to anyone interested in modern lifestyle, way of thinking, the media, etc. One of the most famous in this area Museum of Modern Art in Tokyo, is a broad range of Japanese and foreign contemporary art. 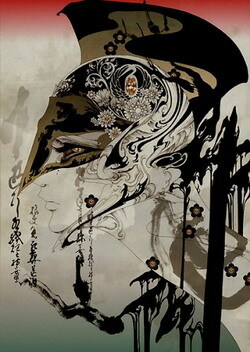 Art Gallery Tokyo – Opera often holds neo-conceptual contemporary art exhibitions. In an elegant building style “Bauhaus” Museum of Modern Art Hara , that in the area of Shinagawa in Tokyo, you can see the exhibits reflecting different styles of contemporary art. Center for Contemporary Art in Mito Art Tower , located in Ibaraki prefecture (north of Tokyo), known for its unique exhibition of masterpieces of modern art. Tokugawa Art Museum of Nagoya specializes in Noh costumes, swords, weapons, and other samurai paraphernalia. Museum works of Hiroshige about the kinds of Tokaido in Shizuoka Prefecture. The collection of this museum, famous for the works of Hiroshige, the most famous painter of genre pictures of Ukiyo-e, contains more than 1,200 of his woodcuts. The traditional art of the Kansai region is widely represented in the Museum of Art in Osaka Fujita , who is famous for its rich collection of antique fine arts. However, it should be borne in mind that the collection is open to review only in the spring and autumn. 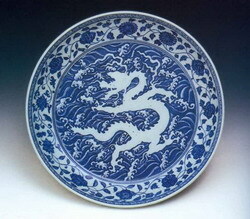 Also note the Osaka City Museum of Oriental Ceramics , specializing in precious objects of ceramics from China and Korea. Osaka City Museum of Art with its rich collection of works of fine art in China and Japan. Art Museum Oyamadzaki Villa in Kyoto – Situated in the unusual shape of the building, where the size of a rich collection of ceramics, inspection which takes place in a relaxed and cozy atmosphere. Osaka Suntory Museum Tempodzan organizes thematic exhibitions, mostly billboards and posters.